The new year started with very cold days but with wonderful warm light for this very special photo session. I feel so honoured to photograph a real princess – Sheikha Aysha Al Nahyan. Such a lovely way to celebrate – to be able to photograph this gorgeous girl and her passion, horse riding. It was a very cold afternoon in Wimbledon, but she did so well! 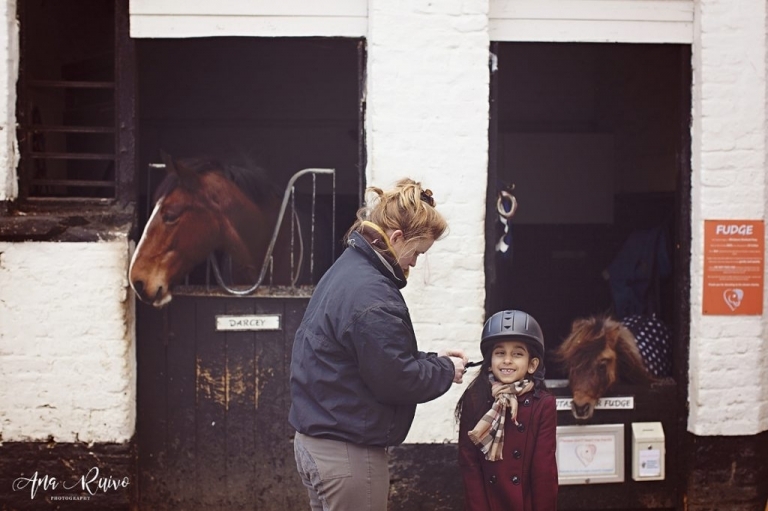 We went to Wimbledon Village Stables where we met delightful and caring staff and beautiful horses. We did a small ride in the local park and we were back to the stables where we met a funny and sweet character Mr. Fudge the pony =) It was a lovely afternoon!